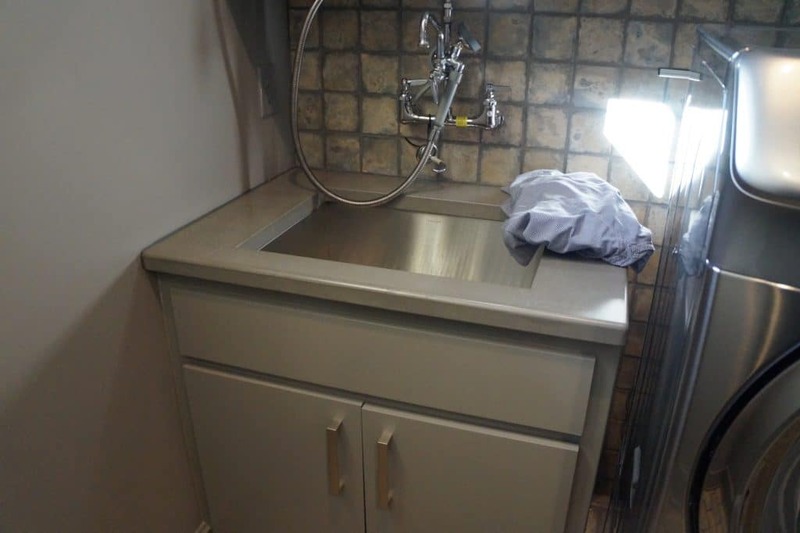 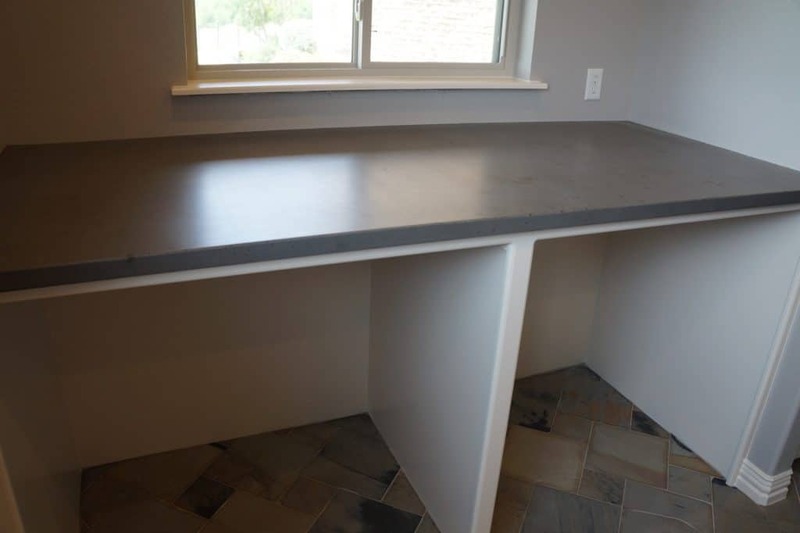 This Concrete Laundry Countertop was installed in Allen, Texas and sits over the washer and dryer, making a convenient folding table. 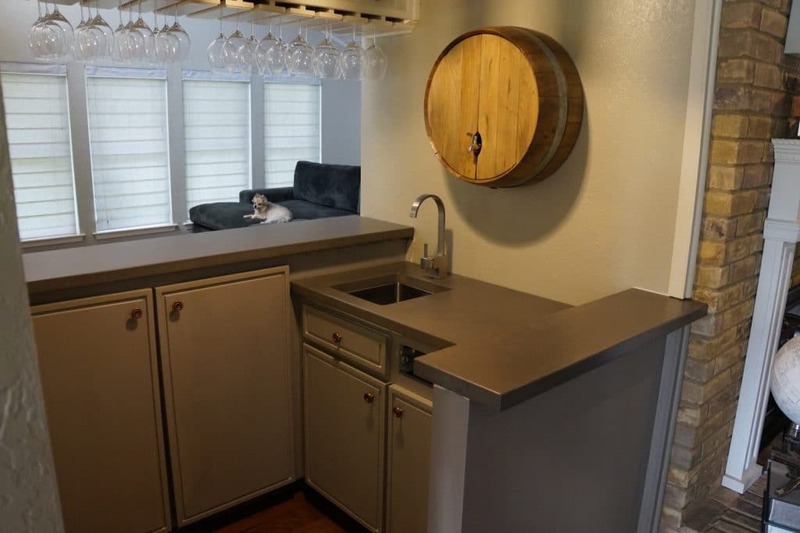 This bar in a home in Dallas, Texas originally had copper bar tops. 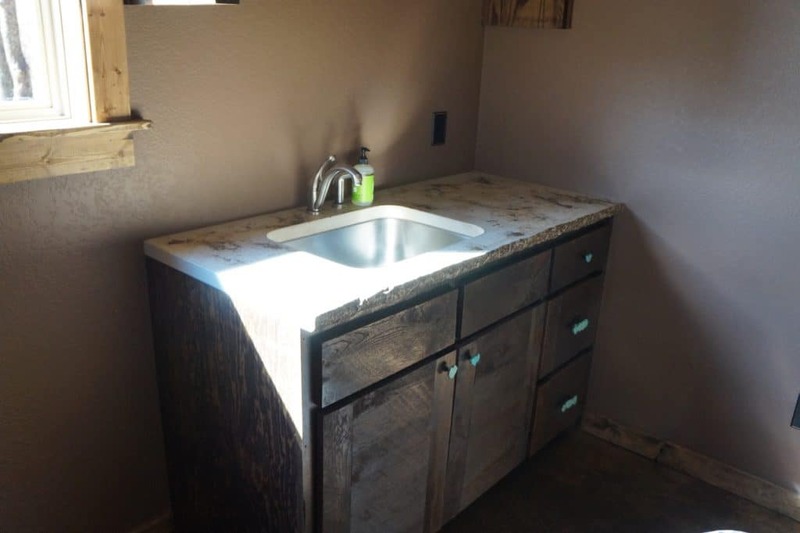 They were certainly eye catching, but not in a good way. 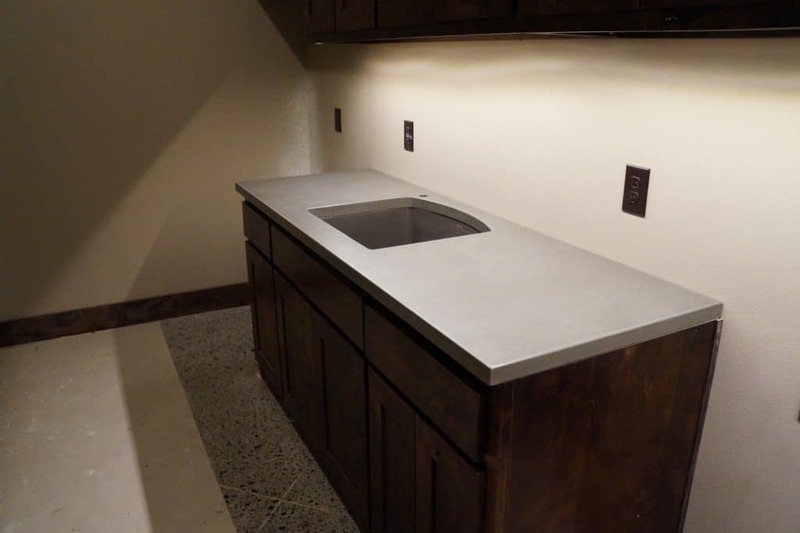 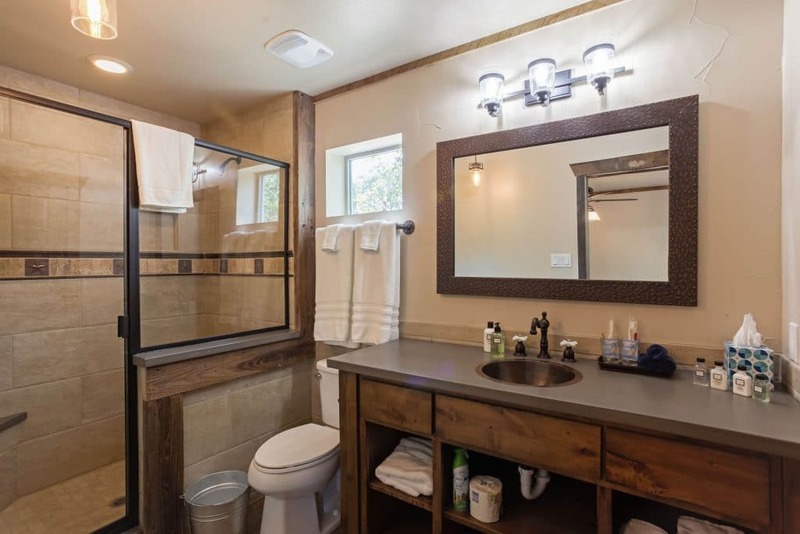 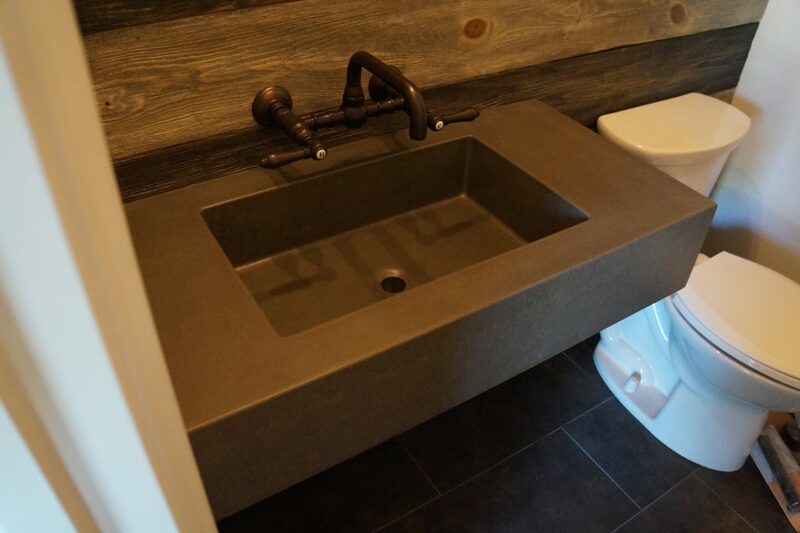 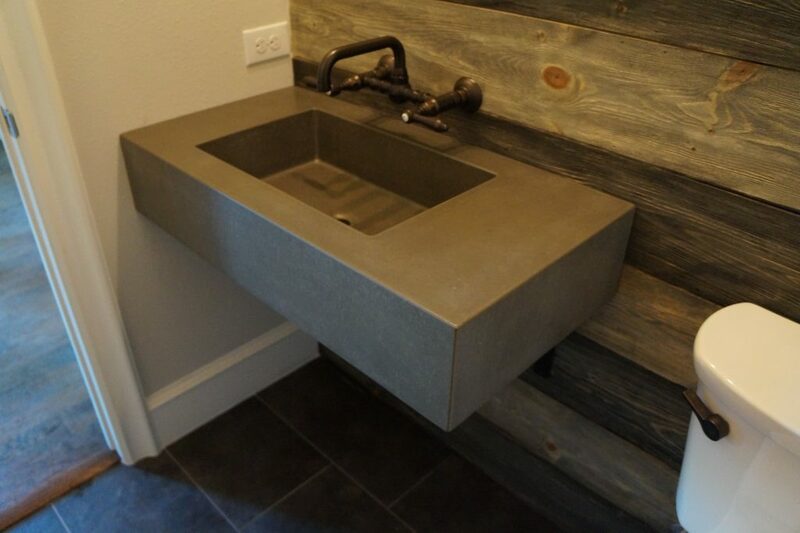 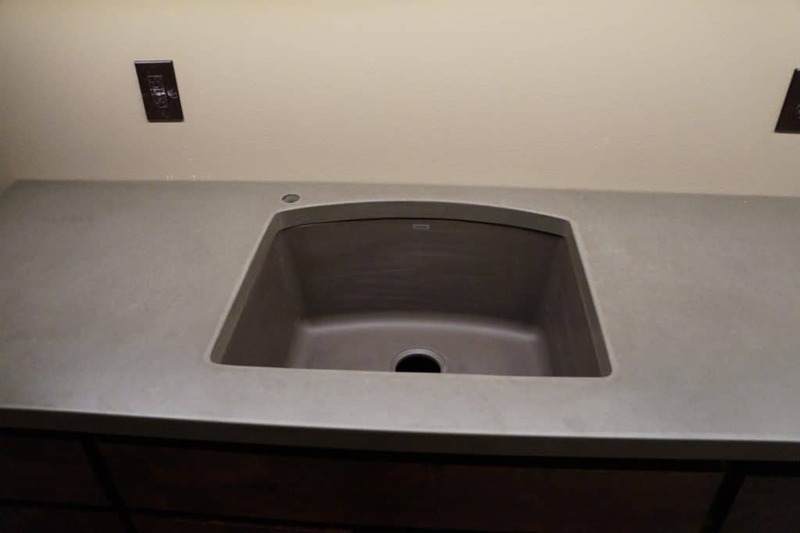 Our elegant gray concrete bar tops were a vast improvement.